The selected remedies are particularly suitable for helping children through life’s little ups and downs. I think deeply, I find the right way and can make it work. I recognize my fears, accept them and do not give them power over me. I stand on my own feet, I am protected and can step ahead. David is a dangerous buccaneer, the sandbox and the small tree have been his pirate ship for weeks now. Pluto accompanies him, he is a chef or helmsman, as need would have it. Today, David has to climb up high on the mast, for hostile boats are approaching. Of course, Pluto can’t come with David, since he’s not a cat. “Ahoy” shouts David from up above, and Pluto waggles his tail. Suddenly – thump! – David’s foot slips off the little branch, he looses his grip and lands in the sand box. Ouch, that hurts! Pluto is immediately on the scene, barking loudly. Mum comes outside and looks at the bruise. “It is not that bad”, she consoles him, “come with me, little pirates”. 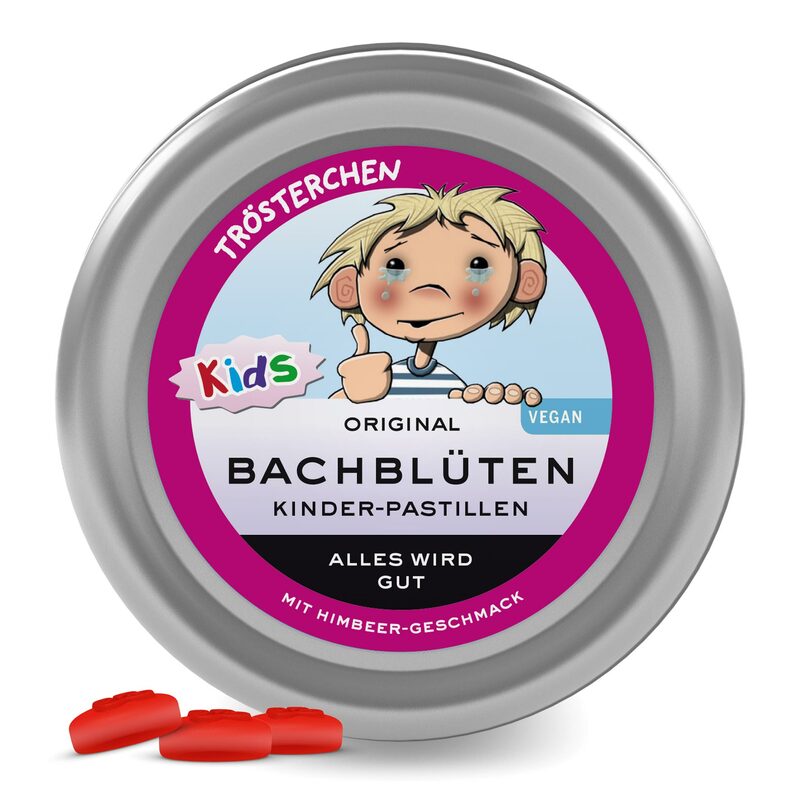 Dr. Bach flower pastilles for children with sweeteners. These rasperry-flavoured pastilles are made from Arabic Gum and extracts from original Bach flowers. The selected remedies are particularly suitable for helping children through life’s little ups and downs. Recommended consumption: 1-2 pastilles per hour, if required. May have laxative effects if larger amounts are consumed.